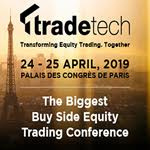 Now you can by joining the biggest buy side driven conference, attracting over 1000+ equity trading leaders, representing the 'who is who' from the full value chain- key regulators, sell side, trading platforms and technology partners. * Trade Wars, Geopolitics and Macroeconomics - are we entering a new paradigm for FX trading? Description: CTA Expo is a unique forum for money raisers and asset allocators to meet and discover Commodity Trading Advisors, Emerging Alternative Managers and promote managed futures investing. 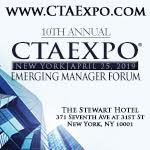 From dedicated presentations to opportunities for networking, CTA Expo provides a forum for allocators, CTA's and Emerging Managers to do business. Description: IMPLEMENT NEW STRATEGIES. NAVIGATE CHALLENGES. EXCEED INVESTOR EXPECTATIONS. leading alternatives operations and compliance event. and more. Helping you meet and learn from the experts. compliance best practices - from leading COOs, CFOs and CCOs. Description: FLAIA is hosting its second annual Artificial Intelligence, Blockchain & Cryptocurrency Forum 2019 from April 30- May 1 in South Florida. The conference will gather asset managers, entrepreneurs, investors and global thought leaders to discuss key market developments, including security token offerings, big data and prediction markets, trading and investing in cryptocurrencies, cybersecurity, smart contracts, legislative and regulatory trends and more. For more information on participation or sponsorship, please contact brian@flaia.org.